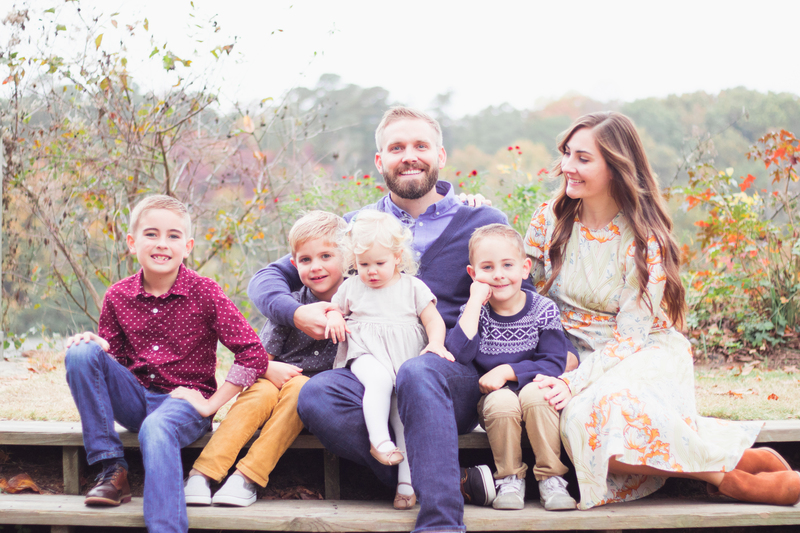 If you are looking for a quick, easy project to do with your kids, this is just the one! 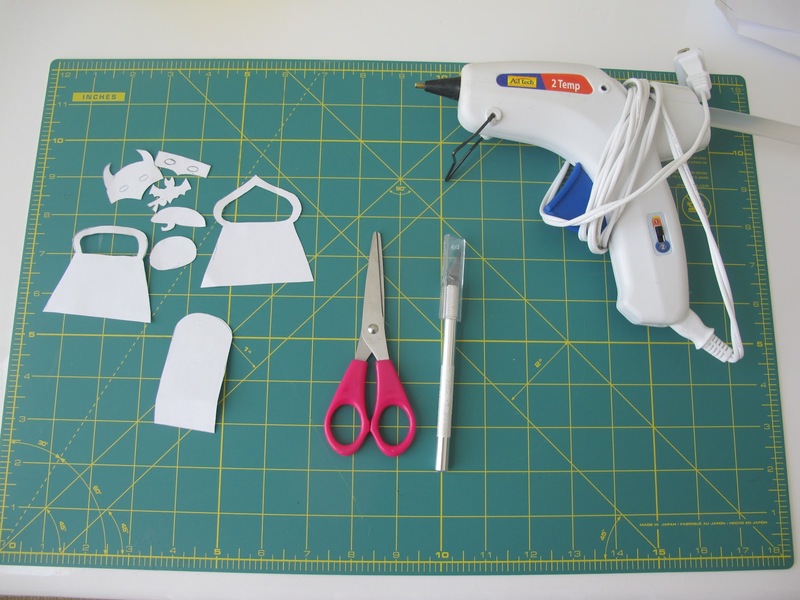 All you need is some felt, a glue gun, and the pattern that I created for you! Print out my finger puppets pdf pattern and cut out each pattern piece. You may want to use an exacto knife for the smaller edges and curves. 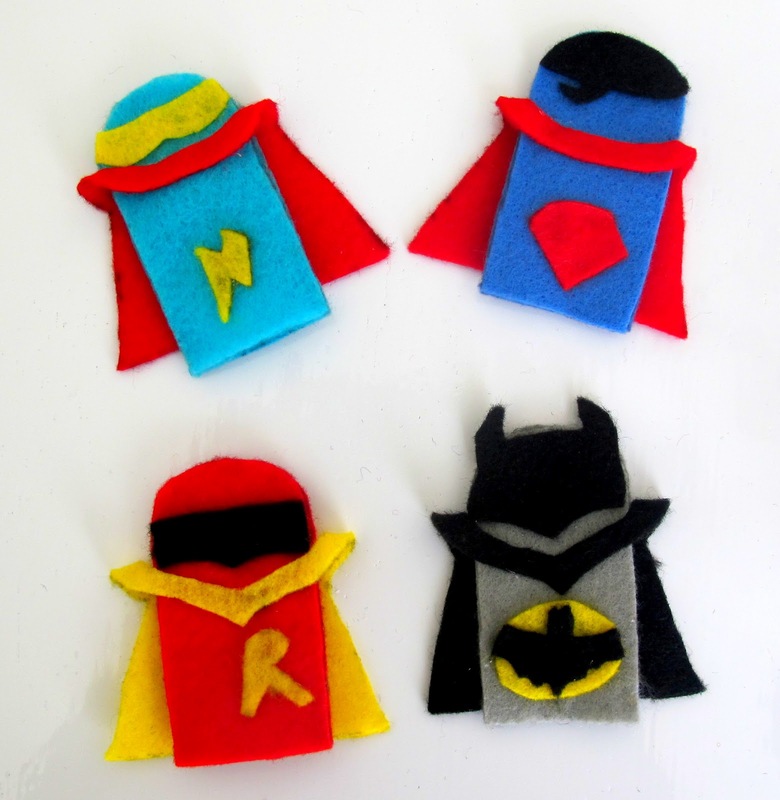 Place those pattern pieces on felt and cut out each one. With the glue gun, glue around the outer edges of each main body piece, and then glue on each detail piece. For the capes, I just places a dab of glue on the front, and a little dab on the middle of the back. That way, the cape is able to "fly out in the wind." 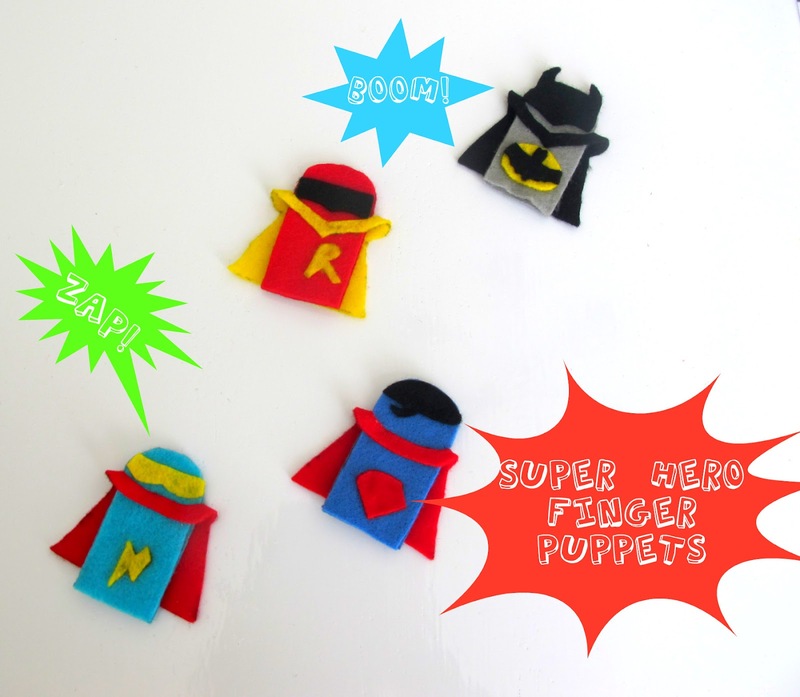 These super hero finger puppets are perfecting for flying around the house, putting in a "quiet time" box, or in a church bag. 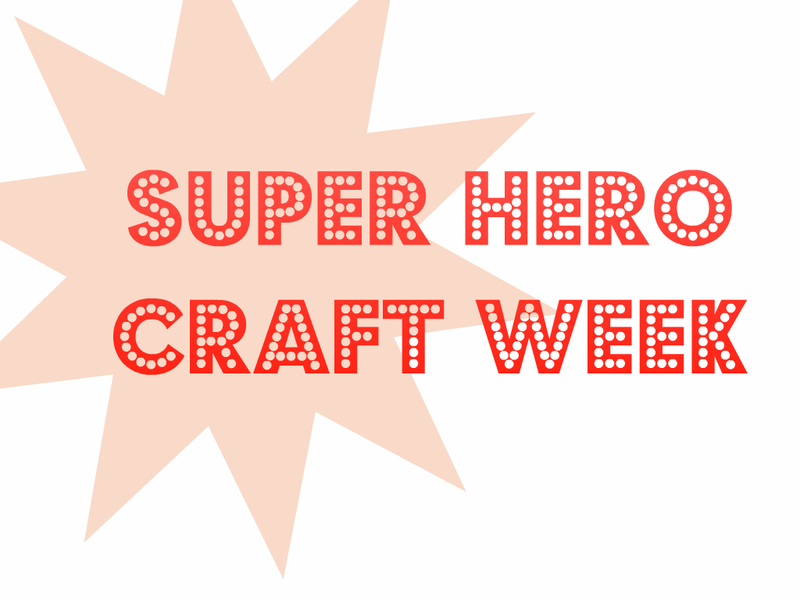 Come back tomorrow for a guest post by Sugar Tot Designs! 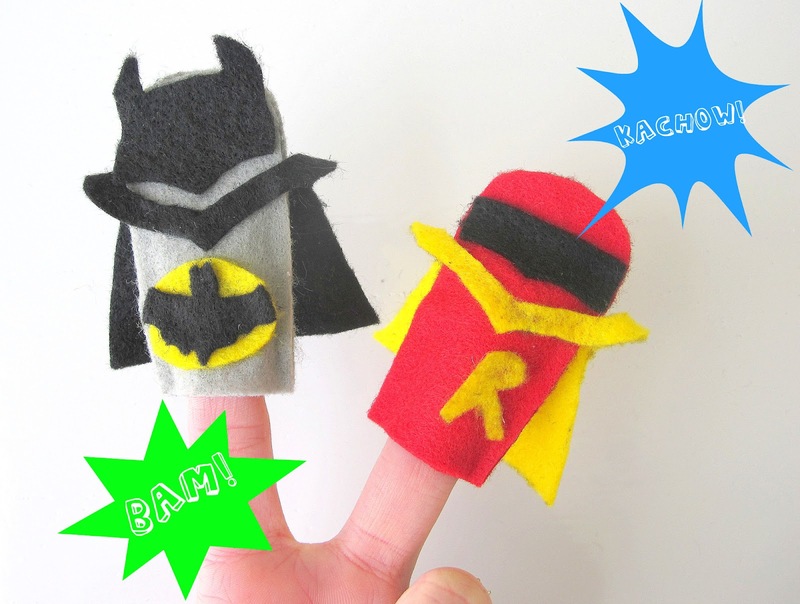 These are so cool, any little boy would love them! Thank you so much for the patterns. I make pillows for the children at Sacred Heart Children's Hospital here in Spokane WA. I incorporate finger puppets into the pillow so they not only have something to hug but something to play with. Come visit me at http://sewingmilesofsmiles.blogspot.com. 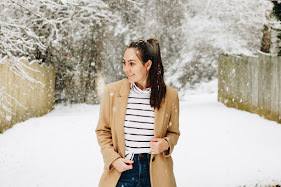 I have a giveaway of patterns right now! My husband collects Batman Comics (which I honestly didn't know were still being published until I met him! )I know one day our children will do it, too. 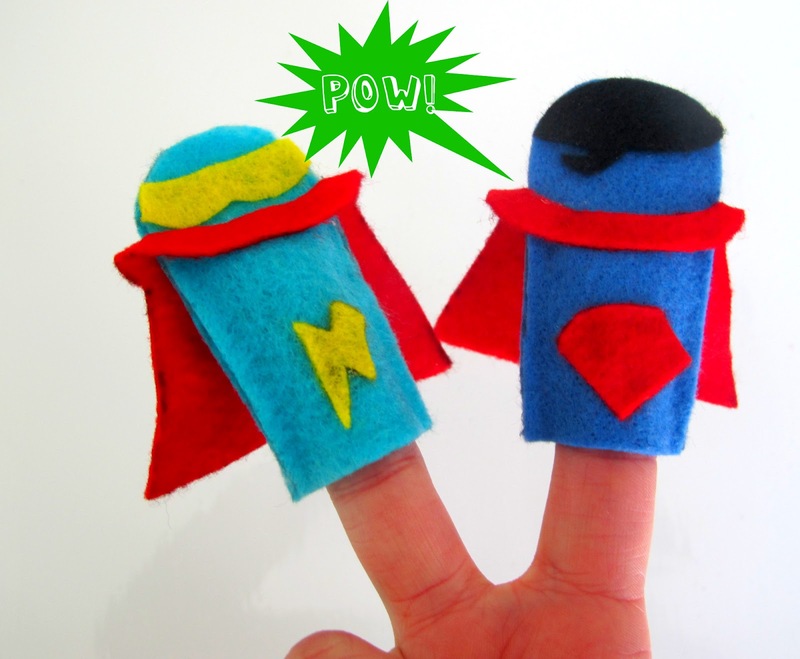 I'll have to remember to make them finger puppets to go along with the stories! awesome. 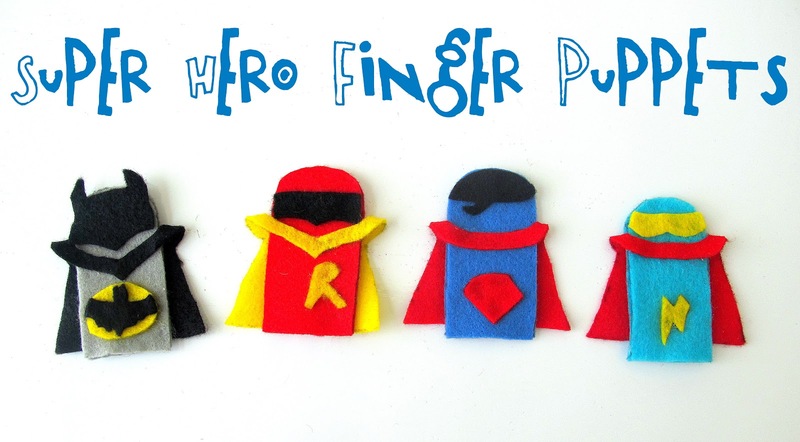 My son is really into super heroes AND finger puppets right now. This it the perfect craft. Thanks! Thank you. Making these for some of the kids at Sacred Heart Children's Hospital for Valentine's Day.